Hello! Today I have a Born Pretty Store review to share. I was kindly offered my choice of items from the brand to try. 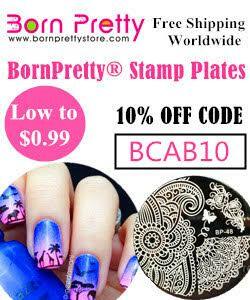 Among the products I chose was a stamping plate, a stamper, and a stamping polish. I decided to use all three at once as they went so well together. Below is the mani I created. 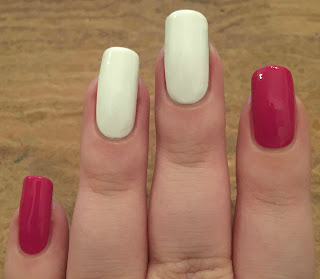 Read on to see how I did it, and find out what I thought of all three products! 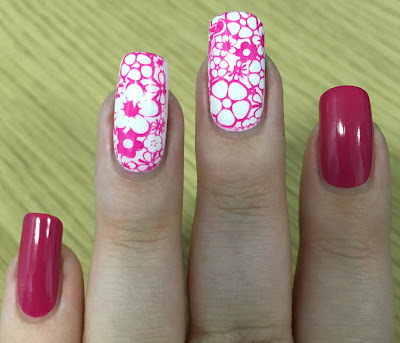 To start, I painted my middle and ring fingers with white polish, and my index and pinky with Born Pretty pink stamping polish (item #27285, online here). I made sure to basecoat carefully as due to being much more pigmented, stamping polishes can stain - I can happily report no staining from this one. The polish was opaque in just one coat. 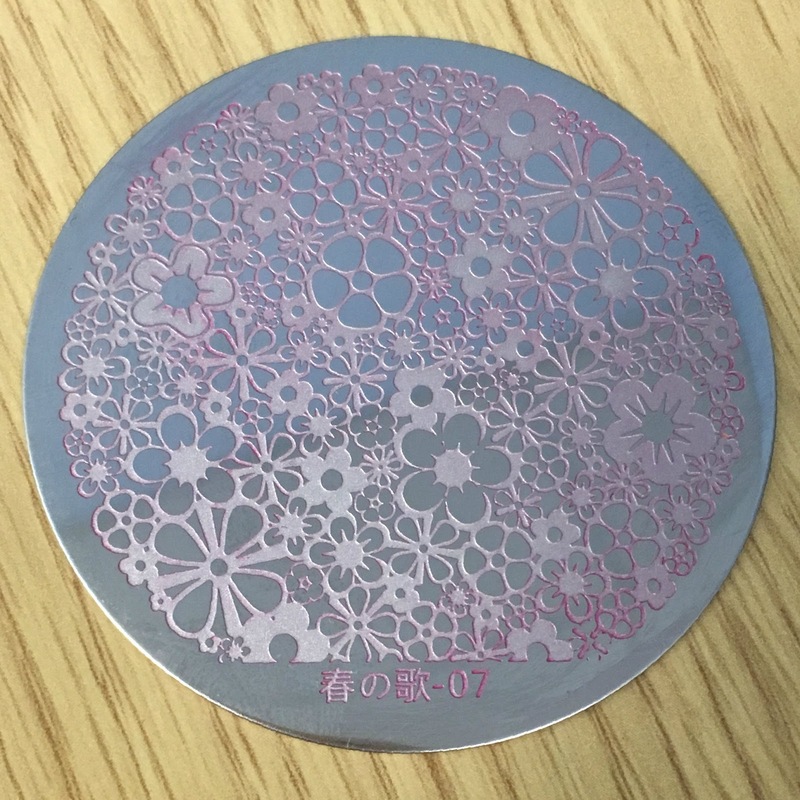 The stamping plate I chose is plate 07 (item #29457, online here), and is a round buffet plate full of flowers. I really liked the idea of being able to pick up so many different parts of the same design. 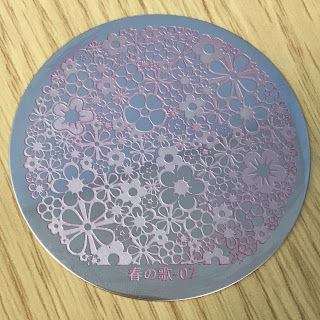 This plate would work really well for reverse stamping and making decals. I also chose the clear jelly silicone stamper (item #30861, online here). This is one of the shorter stampers, which makes looking through and positioning your design much easier. I was also surprised at just how clear it actually is. The stamper comes with a lid to keep the stamping head safe, and two branded scrapers. I stamped using all three items - the pink stamping polish, the flower plate, and the clear stamper. Everything worked straight from the packet, and the images came out so crisp on the nail. I can't fault any of it. The plate was etched well, the stamper was very easy to see through and position, and the polish picked up and transferred perfectly. What do you think? 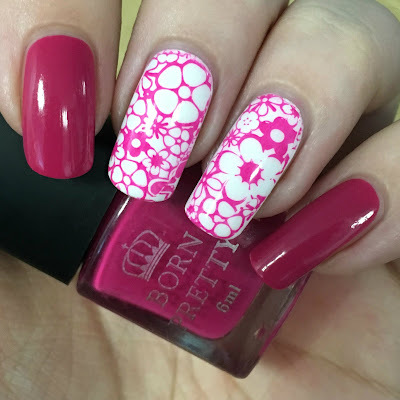 I had never used a stamper or stamping polish from Born Pretty before so I had no idea what to expect. I have to say that am very impressed! 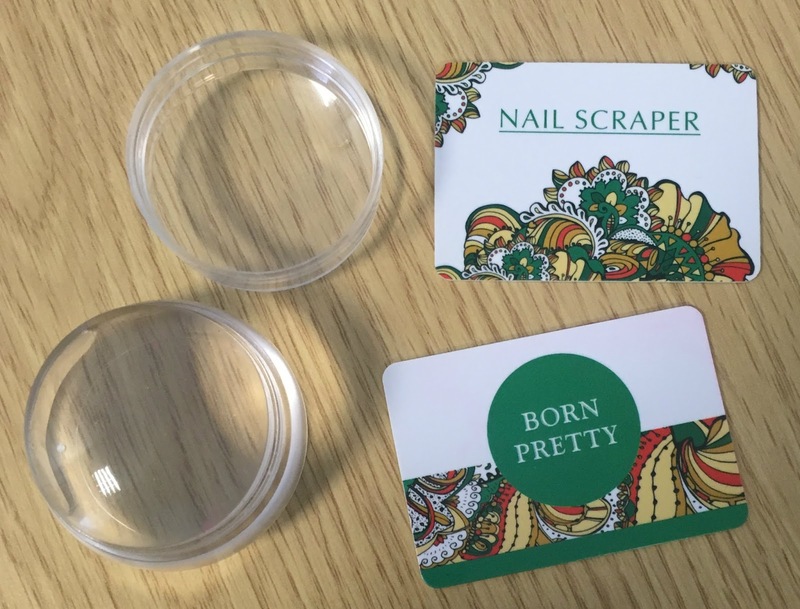 I can see myself using all three items again and again, and will be ordering some more polish and plates when I can. I love how completely different the polish looks when stamped vs when used on its own. Great Review!! and your mani is just wow !!!! <3 beautiful color combination. Great mani! That plate is adorable! 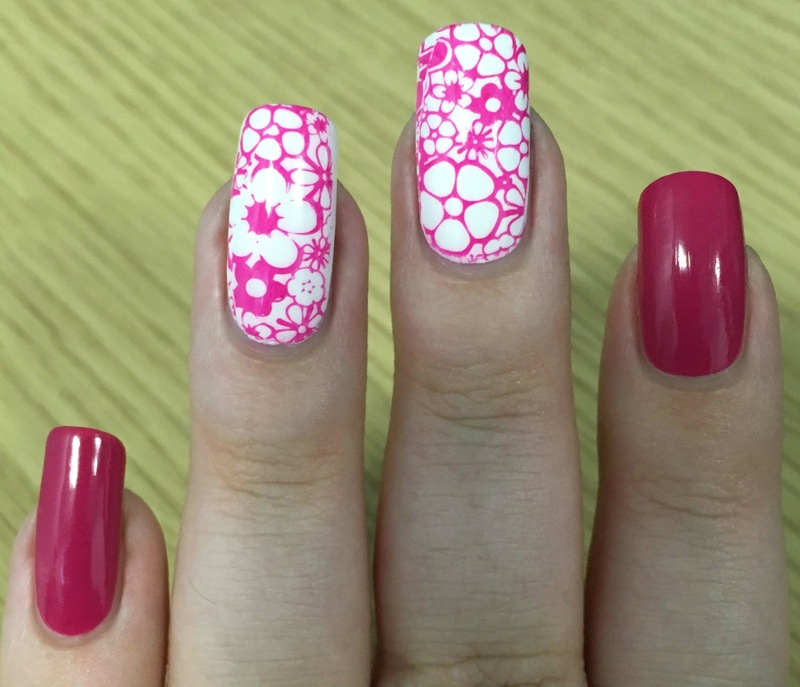 Ooh this is gorgeous, I need to get some stamping polishes so will def check BP out. I LOVE their stamping polishes! I have tried many plates and they can be hit or miss- some are fabulous and others are more finicky.